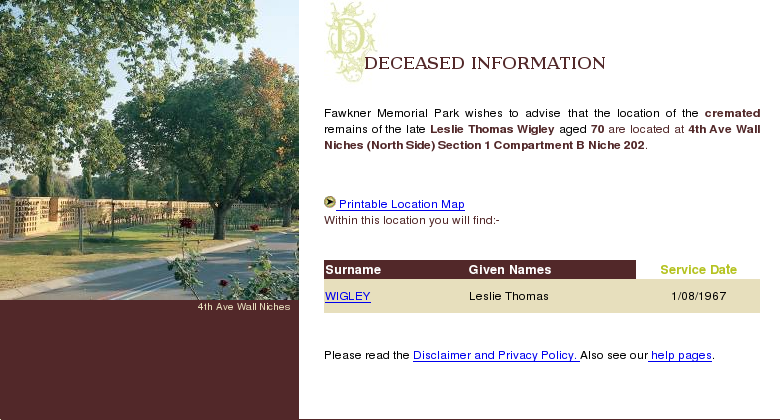 Leslie Thomas Wigley was my 1st cousin 3 times removed. He was born in Hotham East, Victoria, Australia on 24 Apr 1897. He enlisted in the Australian Imperial Force – Australian Flying Corps on 1 Jan 1918 with his parents permission because he hadn’t yet turned 21. 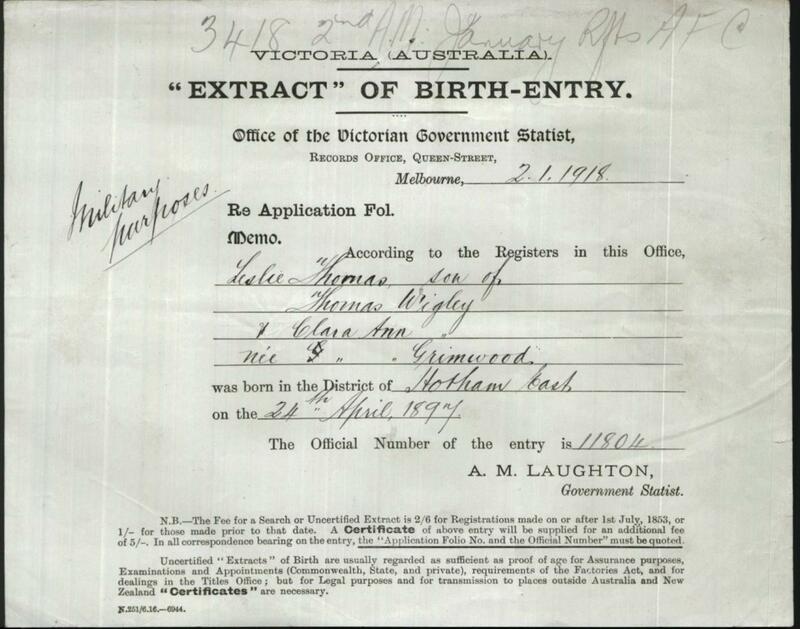 The bulk of this information I’ve ascertained from his service records, including the above Birth Extract. Mapping Our Anzacs is a wonderful resource and a relatively quick way of finding ancestors who served in World War One. Here is Leslie’s record. The letters contained in Leslie’s records give his home address and two of his work addresses. 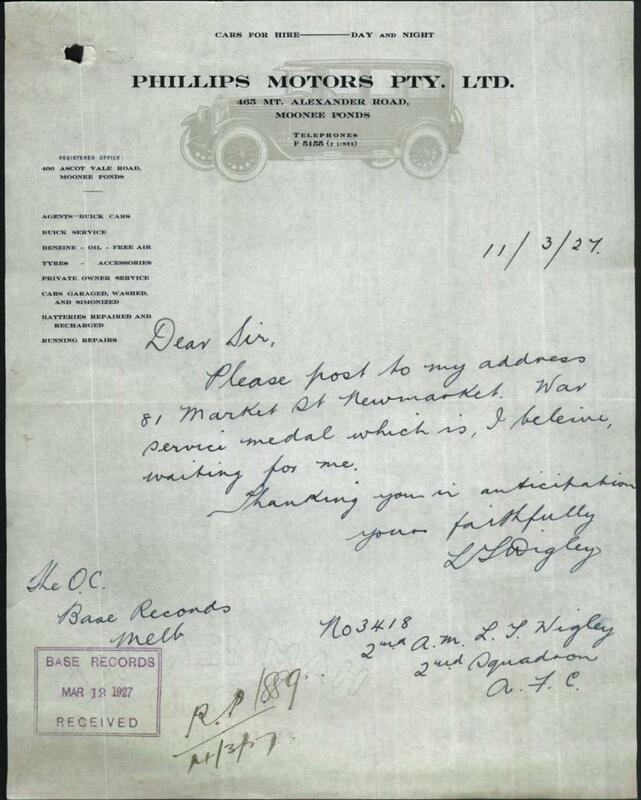 This letter is dated 11 Mar 1927 so Leslie was working at Phillips Motors, 465 Mt Alexander Rd, Moonee Ponds then. 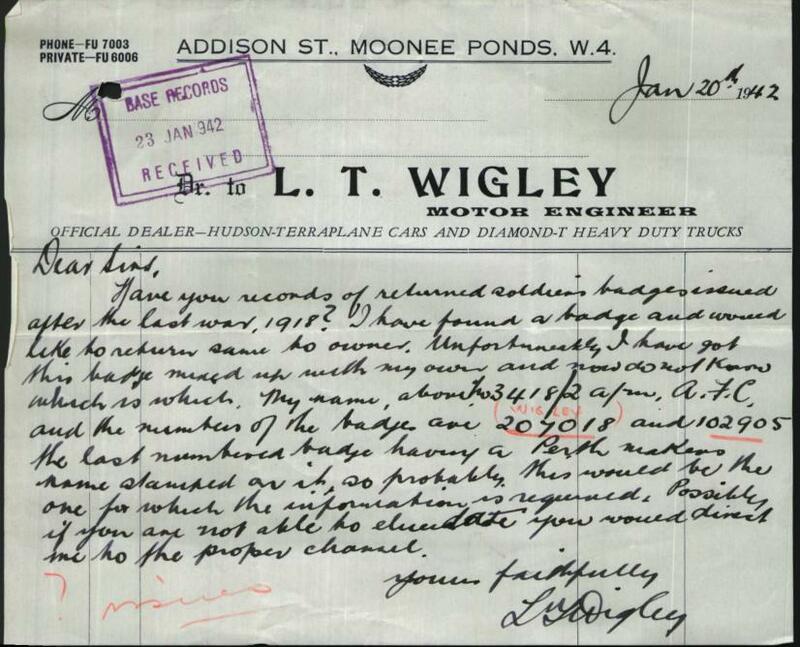 This one dated 20 Jan 1942 is written on his own business letterhead. Census records list Leslie as being a garage proprietor from 1932. This last little letter is a sad one from Leslie’s second wife Dorothy to the Minister For The Army after Leslie’s death requesting full details of his military service. 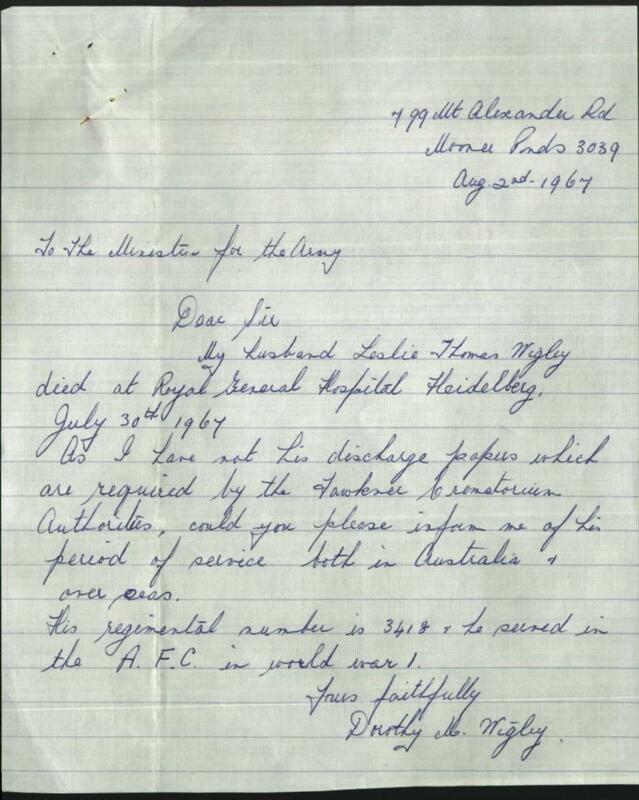 From this letter I got confirmation of Leslie’s second wife’s name, Dorothy, their home address is still 799 Mt Alexander Road, Moonee Ponds and that Leslie was cremated at Fawkner Crematorium. In looking for Leslie’s information at Fawkner Crematorium I also found his first wife Effie Sanderson Wigley nee Moody as well as a number of other Wigleys. Brilliant in so many ways. You got your cousins info, it lead to more. By adding to your scope, better results were obtained. Thanks JL, that's why letters are so special isn't it. They are the ancestor's own words and the other thing I love is seeing their handwriting and signatures. I hope I can find more of these first hand sources in other areas of my research!! !